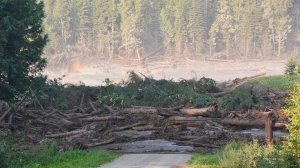 TORONTO (miningweekly.com) – After a tailings dam broke at the Mount Polley mine, discharging about five-million cubic metres of mine waste in the early hours of Monday, operator Imperial Metals on Tuesday said the copper/gold mine had been placed on care and maintenance pending a full investigation. The TSX-listed firm said the water and tailings discharge had stabilised by Tuesday, with no persons reported missing or injured. While the miner declined to confirm the amount of tailings discharged into the environment, the toxic flood washed into the Hazeltine Creek, swelling it from its normal width of 1.2 m to about 46 m.
The Caribou Regional district on Monday put a blanket water use and drinking water ban in effect until further notice, telling residents not to use water for recreational activities, drinking, cooking and bathing, among others. Residents were advised to rely only on clean bottled water. 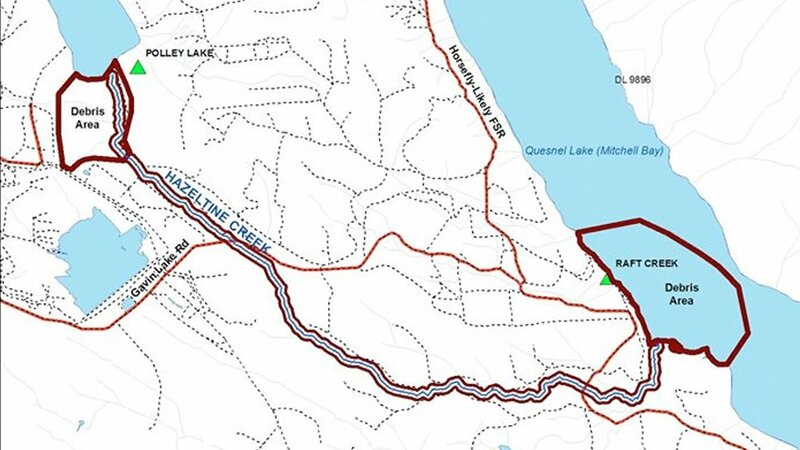 The spill affected Hazeltine creek, Quesnel lake, Cariboo creek and a small amount of debris backed into Polley lake. 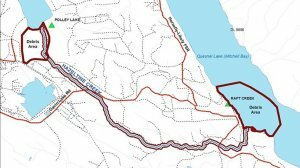 On Tuesday, the Cariboo Regional district added the Quesnel and Cariboo river systems up to the Fraser river to its water-use ban. The ban would stay in place until water samples had been analysed. The spill also washed out the Horsefly Likely forest service road (Ditch road) at Hazeltine creek. Imperial, which was also developing the Red Chris operation, south of Dease lake in the traditional territory of the Tahltan First Nation, said the tailings were alkaline with an average ph level of 8.5. It said the cause of the breach was unknown, pointing out that the dam was an independently engineered structure that operated within design limits and specifications. “Monitoring instruments and on-site personnel had no indication of an impending breach,” the company said in a statement. Imperial highlighted that it had notified its business interruption and physical damage insurers. “While the damaged area is relatively small compared with the overall size of the dam, it is not known at this time how long it will take to restore operations,” the miner said, adding that it was working closely with provincial ministries, local agencies and emergency response officials. Mount Polley was expected to produce 44-million pounds of copper, 47 000 oz of gold and 120 000 oz of silver this year. While Imperial would no doubt have some difficult questions to deal with in coming weeks, there was already clear and immediate environmental backlash from the incident for other projects in the north-western Americas. Alaska-based aboriginal communities and conservation groups concerned about Northern Dynasty Minerals’ proposed Pebble polymetal mine, in Alaska’s Bristol Bay watershed, on Tuesday swung into action, lobbying the US Environmental Protection Agency (EPA) to finalise proposed mine waste restrictions in the watershed. According to nongovernmental environmentalist group Earthworks, the Mount Polley mine and the proposed Pebble mine shared similarities such as both being large, openpit copper porphyry mines, with modern tailings dam designs, located at the headwaters of important fisheries. Northern Dynasty’s subsidiary, the Pebble Limited Partnership often cited the Polley mine as a good example of how mining and fisheries could coexist. 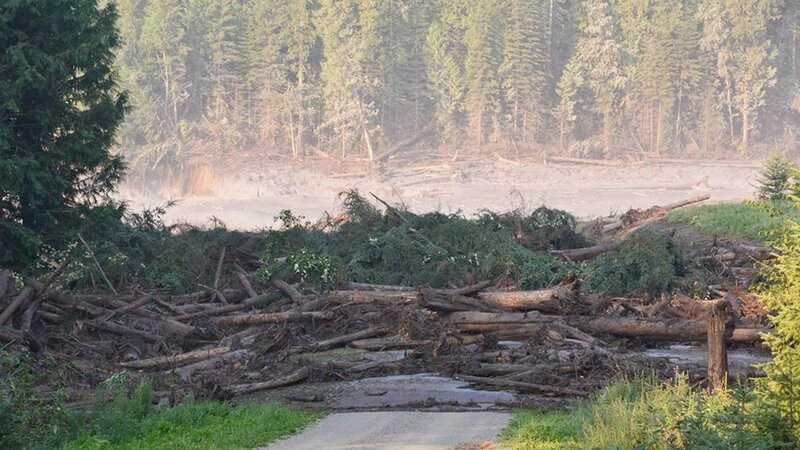 Earthworks’ Bonnie Gestring contended that its research had shown that tailings dam failures were “far more common than the industry wants to admit”. “In the US, more than one-quarter of the currently operating copper porphyry mines have experienced partial or total tailings pond failures. That’s why the EPA’s plan to restrict mine waste in the Bristol Bay watershed is so critical to the future of our nation’s most valuable wild salmon fishery,” she said. The EPA had proposed mine waste restrictions in Alaska’s Bristol Bay watershed, with public hearings on the proposed plan scheduled for next week in Alaska. Northern Dynasty in May filed a suit against the EPA to stop it from completing a seldom-used regulatory process under the Clean Water Act to pre-emptively veto the project. Imperial’s TSX-listed stock on Tuesday plummeted C$6.82 a share, or 40.6%, to close at C$9.98 apiece.